Develop clarity of thought. Avoid analysis paralysis. Make better decisions. Never miss a beat.Clear and effective thinking clashes with most of our instincts and habits. Think Like Einstein will shine a light onto the mistakes you’ve been making and show you how to defeat them once and for all. 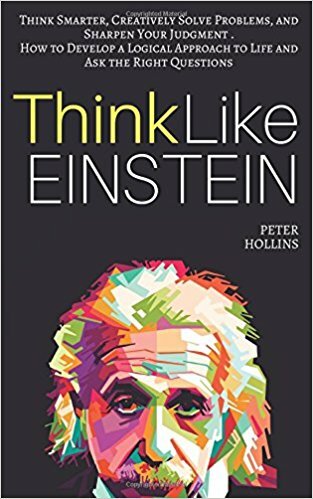 Think Like Einstein is a scientifically proven guide for improving your critical thinking skills and developing a sense of intuition and judgment. You will learn how to attack problems from a multitude of angles and generate solutions that previously seemed impossible.This book is not a simple list of tips - it is full of 100% actionable insights into human psychology and action patterns. Discover what is holding you back from quick strategic thinking and decision making that can make huge differences in your life.